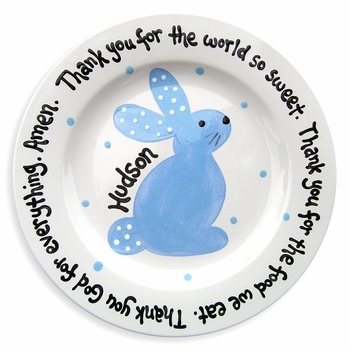 Beautifully painted, this personalized blue bunny plate will become a treasured keepsake for any lucky baby boy! 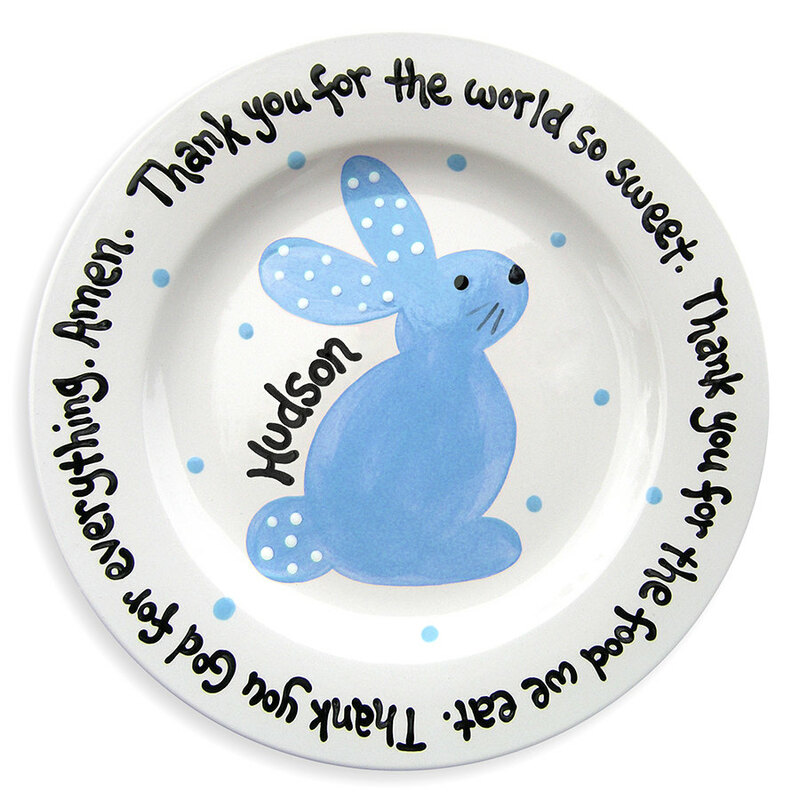 Each plate reads, "Thank you for the world so sweet. Thank you for the food we eat. Thank you God for everything. Amen." 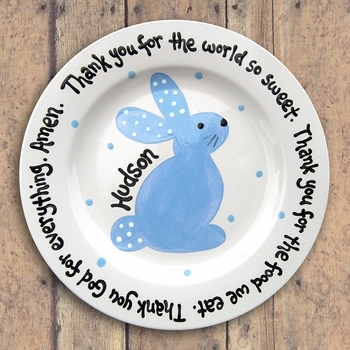 Each is hand painted and kiln fired to ensure a beautiful long lasting keepsake.